Talking about F1: The F1 blog: Brazilian GP Betting Preview - Brazil nuts? You know what they say about crises and opportunities. Brazilian Grands Prix at Interlagos may bring an F1 gambler out in a cold sweat, given that it's a place where anything goes down. Even more so than Monaco. Might it be Ferrari and Red Bull on top again? But with it comes perhaps opportunities to win big, and maybe specifically so this time. Mercedes has been worried about this one apparently and not just because of the Sao Paulo track's idiom. It fears, it is said, that the twisty middle sector will suit Red Bull and Ferrari more. Plus while Interlagos's altitude isn't quite that of Mexico City it's still something and we saw in Mexico last time out that the silver car can be vulnerable when having to pile downforce on in such conditions. And the bookies haven't quite twigged, still making Lewis Hamilton firm favourite for pole and win. The odds on Sebastian Vettel at 19/5 to claim race victory and 4/1 to get the pole look very generous - particularly the latter as in Mexico Seb showed that he remains a qualifying master even if his car isn't entirely a stick-on for pole. 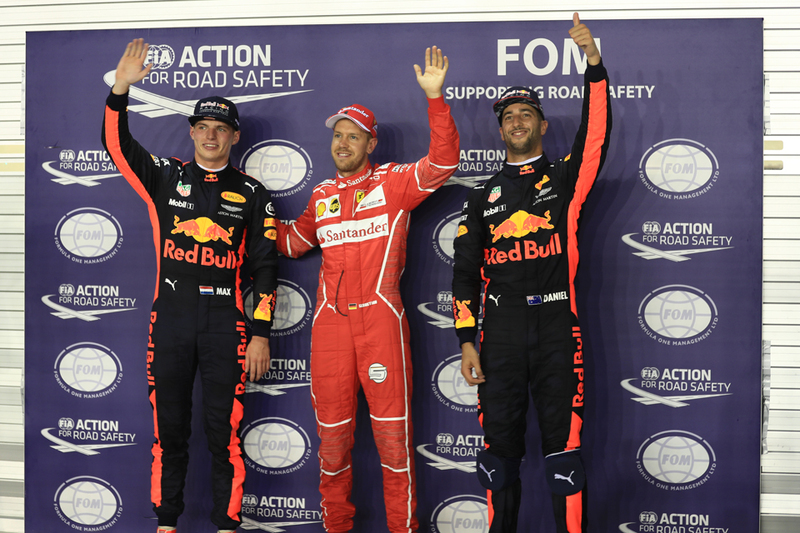 Then there's the prodigious Max Verstappen, who's on the top of his considerable confidence right now with two wins and a second place in the last four. His odds are even more generous - 13/2 to get the pole and 9/2 to win. Max also has had the intra-Red Bull upper hand in recent times, but even so the odds for Daniel Ricciardo look absurdly long by comparison - 9/1 to win and 10/1 to get the pole. After all, all being equal there's rarely that much between the Red Bull pair. At the very least 5/4 for Ricciardo to get on the podium looks a reasonable punt. And if you want to take these assumptions to a logical conclusion then you can also 'back' Lewis not to finish in the top three at 5/2. At the time of writing forecasts suggest rain around for qualifying. Both Red Bull pilots are proven quantities in wet weather (then again so is Lewis especially, so you might fancy his odds for pole after all, which is evens). But there are extreme long punts for pole that may tempt. Not least Nico Hulkenberg, who actually got a pole in wet-to-dry conditions at this track in 2010, who can be backed at a whole 1,000/1. Of the rest, there are tempting odds to score for a few drivers who should go well in Brazil. Fernando Alonso, with his fine McLaren chassis, can be got at evens. Felipe Massa, a local specialist, is 11/10. Romain Grosjean, who qualified seventh here last here, is 9/4. There's also what is threatening to become a permanent mention, that Esteban Ocon's odds to finish in the top six - this time 28/17 - look well worth your stake. Force India's a clear best of the rest plus Ocon's had a clear upper hand on his stable mate Sergio Perez in recent races. If these assumptions hold he then needs one of the 'big six' to clear a space for him - not an unreasonable hope at Interlagos. If you fancy something a bit different, and not to do with this weekend's Brazil meet, then there are odds on who'll get a Williams race drive for 2018. Robert Kubica is rightly favourite at 4/6; it's probably worth keeping your money away from Pascal Wehrlein at 3/1 as I gather than the whole Martini wanting a driver aged 25 or above thing is a considerable stumbling block. Paul di Resta's an outside bet at 7/2. All odds quoted in this article were accurate on the Oddschecker website at 2100 GMT on Wednesday 8 November 2017.